Ms. Henderson Earns A Grant For Her Students! We send a tip of the Tiger’s tail to HES teacher Ms. Henderson! We learned that before the holidays, she won a grant from the Indiana Retired Teachers’ Association. 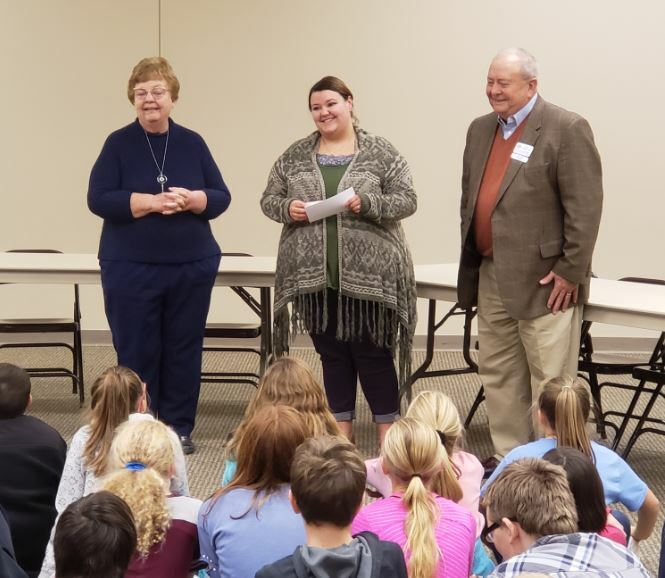 When the representatives of that organization came to school to present Ms. Henderson the check, they remarked how wonderful her spring project sounded and that it was equally great that the support was awarded to a teacher in East-Central Indiana. Way to go, Ms. Henderson! Your initiative paid off for your students. Previous: New Families Are Happy! Next: Our Bus Drivers Are The Best!